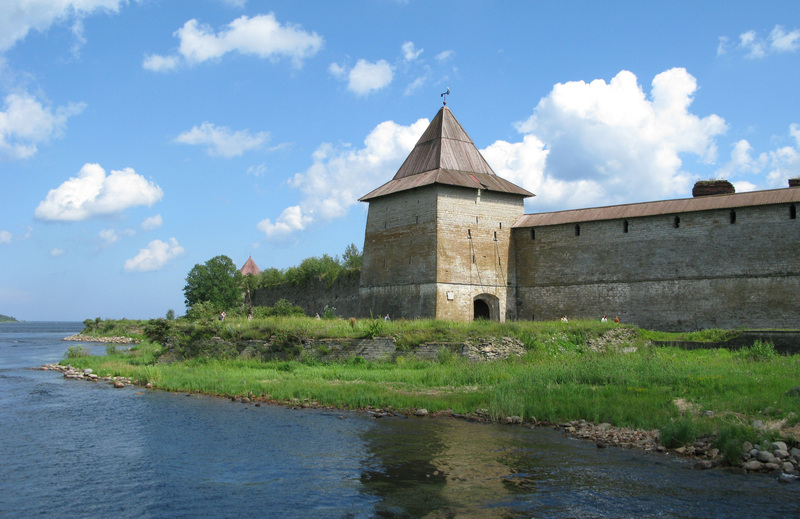 The first Shlisselburg Fortress Oreshek was built in 1323 of timber by the Novgorodians on an island in the head of Neva River’s outflow from Lake Ladoga. 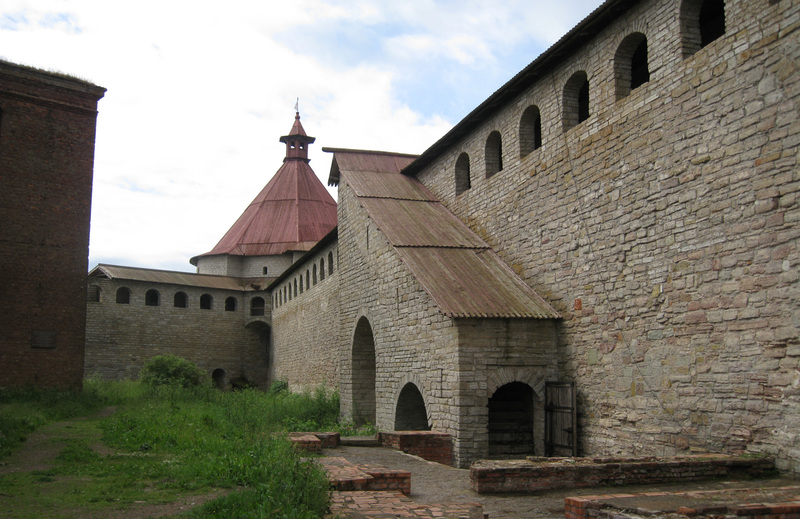 During a battle between the Russians and the Swedes in 1349 it was destroyed by fire and in 1352 the Russians built a new stone fortress consisting of three low rectangular towers connected by walls. In the late 15th and early 16th century it was again replaced with a new powerful fortification with seven massive towers of which only five have survived to the present day. When the Swedes captured Oreshek in May 1612 they named it Nöteborg and when the Russians recaptured it in 1702 it was named Shlisselburg, which is from the German word Schlüsselburg meaning “key-castle” = the key to the Baltic Sea (Gulf of Finland). 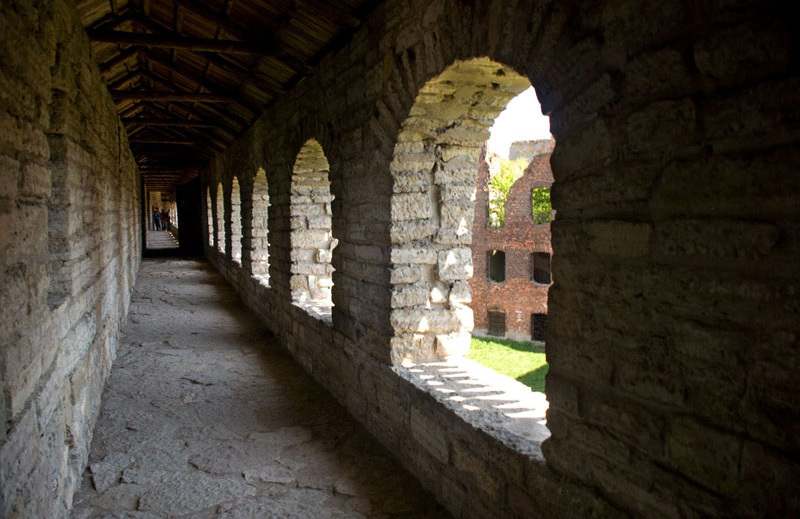 From the end of the 18th century until the October Revolution of 1917 the fortress was used as a political prison. German attacks during the Second World War damaged the fortress badly. Restoration work has been carried out since 1965. Today Oreshek Fortress is under the authority of the St. Petersburg Museum of History.